Red Rubber Inspirations: Inspirational #145: Tag Your It! Inspirational #145 - Tag Your It! Deadline for submitting your projects is Wednesday, November 12 at 11:59 PM US Central time. Our theme this week is Tag Your It! We would like to see tags this week!! 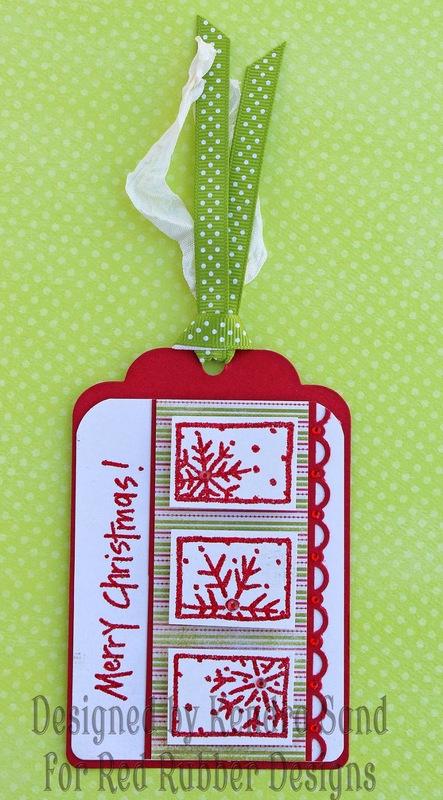 I used the fun Snowflakes Blocks set for my tag!